Discoid lupus erythematosus (DLE) is rare in children. Prior studies suggest 25-30% of children with skin-limited DLE are diagnosed with systemic lupus erythematosus (SLE) over time. Biomarkers and risk factors to identify those at highest risk are unknown. This multicenter, retrospective study aims to characterize baseline features and outcomes in pediatric patients with skin-limited DLE, as well as risk factors for the progression of DLE to SLE. Baseline characteristics of all patients with DLE and initial study findings are presented in this interim analysis. Nine of 18 committed clinical sites, including pediatric dermatologists and rheumatologists, retrospectively reviewed all medical records of patients ≤18 years of age with clinical and/or histopathologic findings consistent with DLE. Baseline data were collected on all patients, including demographics, dates of DLE onset and diagnosis, distribution of DLE, and family history of SLE. For patients with skin-limited DLE, rates of progression to SLE based on American College of Rheumatology (ACR) and Systemic Lupus International Collaborating Clinics (SLICC) classification criteria were evaluated. Clinical records for 205 patients have been reviewed to date, with 50% of participating sites reporting. Baseline data are presented in Table 1. African-American females were most commonly affected. Median age at DLE diagnosis was 11.8 years, with median time from DLE onset to diagnosis of 0.5 years. Most patients (76%) had localized disease (i.e. head/neck only); 20% had a family history of SLE in a 1st degree relative. Most patients had skin-limited DLE at baseline, with only a minority exhibiting ≥4 ACR classification criteria (n = 56; 27%) or ≥4 SLICC classification criteria (n = 46; 22%). Initial treatments are presented in Table 2. Patients with skin-limited DLE and at least one follow-up visit (n=115) had median follow up of 3.1 years (range 0.1-12.5 years, 393 total patient-years). During this period, a minority met criteria for SLE diagnosis, utilizing ≥4 ACR classification criteria (n = 16; 14%) and ≥4 SLICC classification criteria (n = 24; 22%). This study represents the largest investigation of pediatric DLE performed to date. Utilizing both ACR and SLICC classification criteria for SLE, most patients (>73%) presented with skin-limited DLE, with a low cumulative incidence of SLE using both ACR and SLICC classification criteria. Further analysis may help to determine risk factors for progression to SLE and inform the creation of consensus guidelines for treating children with DLE. Disclosure: L. Arkin, None; K. A. Buhr, None; C. Nguyen, None; H. Brandling-Bennett, None; L. Castelo-Soccio, None; Y. Chiu, None; B. F. Chong, Biogen Incorporated, 2,Daavlin Incorporated, 2,Celgene Corporation, 5,Pfizer Incorporated, 9; L. Diaz, None; M. S. Klein-Gitelman, None; A. Paller, None; J. Schoch, None; E. von Scheven, None; V. P. Werth, None; J. Grossman-Kranseler, None; A. D. Hudson, None; E. M. Ibler, None; M. C. Marques, None; R. L. Monir, None; E. Putterman, None; K. Ardalan, None. Arkin L, Buhr KA, Nguyen C, Brandling-Bennett H, Castelo-Soccio L, Chiu Y, Chong BF, Diaz L, Klein-Gitelman MS, Paller A, Schoch J, von Scheven E, Werth VP, Grossman-Kranseler J, Hudson AD, Ibler EM, Marques MC, Monir RL, Putterman E, Ardalan K. Baseline Features and Outcomes of Pediatric-Onset Discoid Lupus Erythematosus: Interim Data Analysis of a Multicenter Retrospective Cohort Study [abstract]. Arthritis Rheumatol. 2018; 70 (suppl 10). 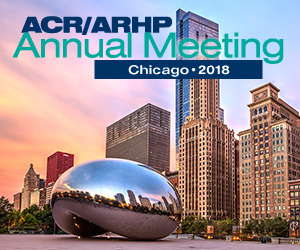 https://acrabstracts.org/abstract/baseline-features-and-outcomes-of-pediatric-onset-discoid-lupus-erythematosus-interim-data-analysis-of-a-multicenter-retrospective-cohort-study/. Accessed April 18, 2019.